Jedox In-Memory DB is written in C++ and developed with Microsoft Visual Studio 2017 (MSVC/CUDA) on Windows and Eclipse (GCC/CUDA) on Linux. 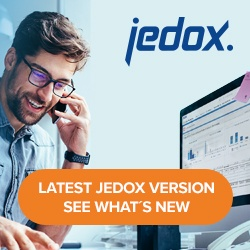 Jedox Excel Add-In is written in C++ and C#(.NET) and developed with Microsoft Visual Studio 2017 (MSVC/.NET) on Windows. Jedox Integrator/ETL (Server and Client) is written in Java and developed with Eclipse (JRE) on Windows and Linux. See Software Development and Testing at Jedox for more details. Looking for older version of this page? Please check out our support portal! Excel Add-in: Error Message #NA! Excel Add-in: Error message #VALUE! PALO.DATA(): Why are there Different Functions? System Cubes with the Property "inactive"